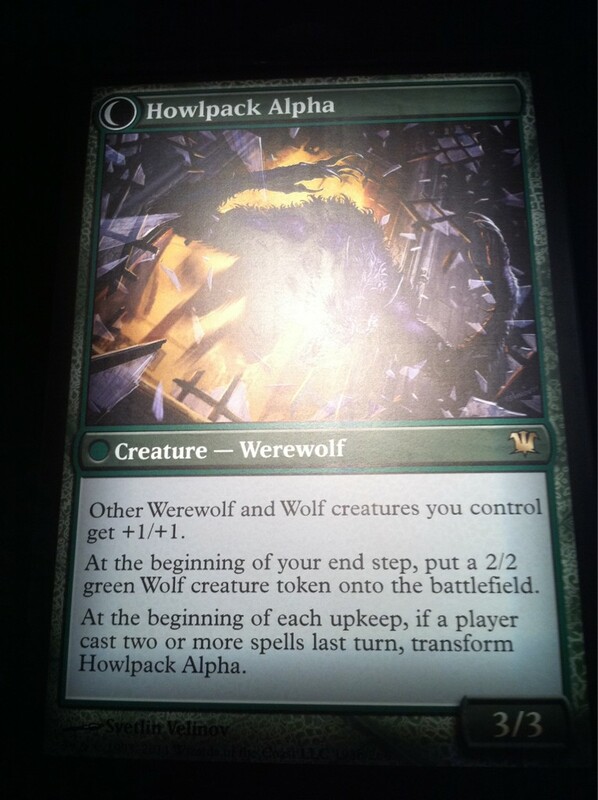 As ElspethFTW already wrote an introduction for Pack to Power, I’ll just post his. For those that don’t know what a Pack to Power challenge is, you start with one pack of Magic the Gathering. It doesn’t matter what pack it is. Then you can only trade from cards in that pack, and the ultimate goal is to have enough in the binder to trade for a piece of the Power Nine: Ancestral Recall, Black Lotus, the five Moxen, Time Walk, or Timetwister. There are only three rules. One rule is that you must trade a card from the collection even if someone decides to essentially donate cards to help you in your quest. A second rule is that you can not trade into it yourself at all. The third rule is that you are not supposed to trade cards for cash or store credit until you’re ready to cash out the binder. It needs to be cards for cards. Personally, I’ll be aiming for a Time Walk or a Timetwister, most likely. I won’t say no to Moxen, though. So, what did I start with? Well, the same kind of pack as him – A pack of Conspiracy. My pack was a lot worse than ElspethFTW’s, but I guess we’ll get somewhere eventually with it. So, as an act of mercy, my brother took pity on me and traded for one of my better uncommons. I traded an Explorer’s Scope for a Phyrexian Colossus and an Altar’s Reap. A little bit of an uneven trade, but trading up is part of the game. I’ll update as I trade up, but it might be a bit before I get the chance to work on this. Returning Segment – Games and Mechanics! So, for those of you who saw the old site, I had a segment called Games and Mechanics, where I talked about some of the more complicated parts of the game. Mostly talking about complicated abilities like Banding. Well, I’m bringing it back. This doesn’t mean I won’t still be doing Commanding Opinion, of course – I plan on still doing 5 of those a week, and most likely 2-3 of these a week as well. 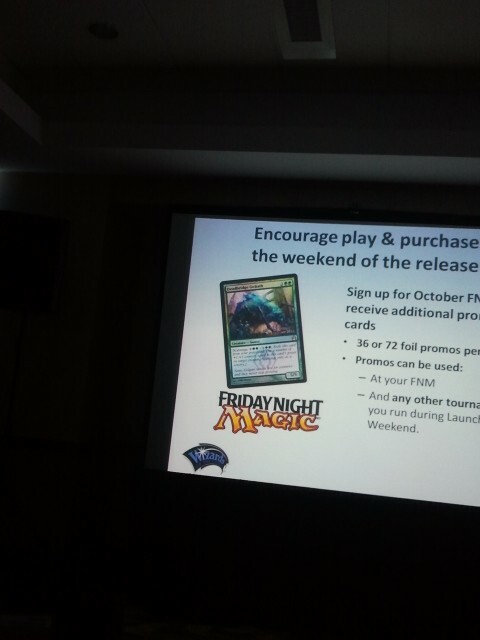 Once we’re out of the M15 spoiler season, I can guarantee that. Credits goes to mtgsalvation for posting this on their site. 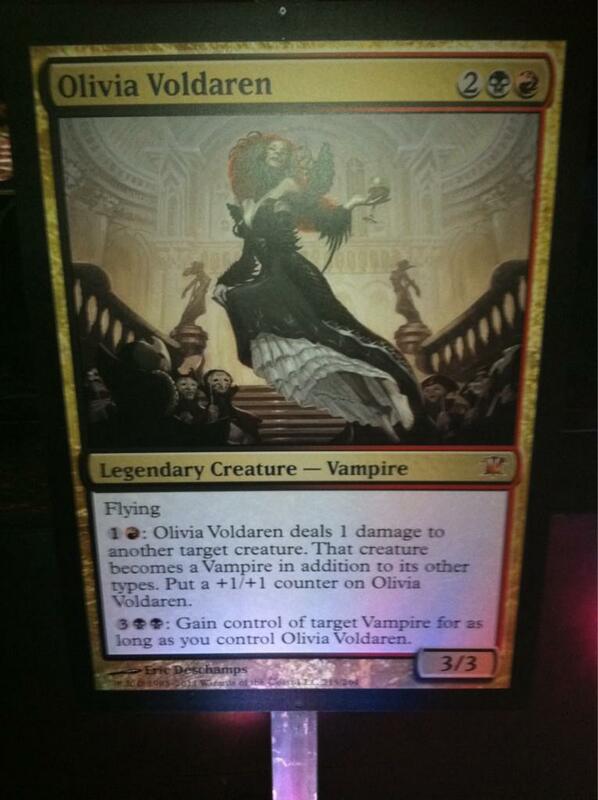 You can find their spoiler page for Return to Ravnica here. Now, Deadbrdige Goliath is a 5/5 for 2GG; a pretty solid card in my opinion. With Rampant Growth he’s an easy turn 3 drop. On top of his 5/5 for 2GG, he introduces the new mechanic for the Golgari, Scavenge. Unlike Selesnya’s Populate (which appears to be confirmed) Scavenger exiles the creature from the graveyard to make the ones you control bigger; in that they give +1/+1 counters equal to his power. In this case, it’s 4GG to put 5 +1/+1 counters on a creature you control. Sadly, it does have to be all to one creature, but this could be interesting if Birds is reprinted in Return to Ravnica, as our mana-bird didn’t get printed in the core set like usual. I like Deadbridge Goliath, and it appears to be the first FNM promo for the set. I like the card, and I hope the rest of the set will be even better. She’s a very good card, namely for her first ability, giving you a consistent way to kill opponent’s creatures and boosting herself in the process. 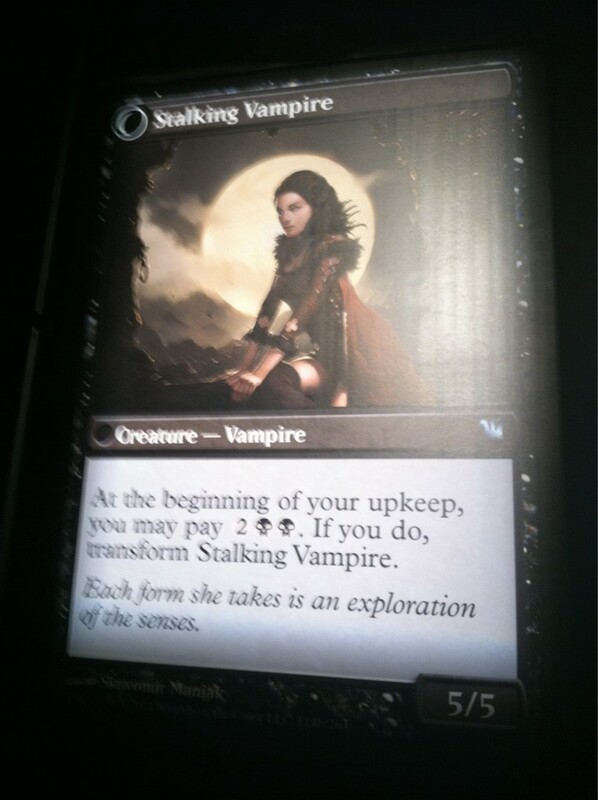 If you really want to, you can always hit a creature and then take it over with her second ability, or just take control of opponent’s vampires in the mirror match. Being a flyer is always a plus here. So, all in all, it’s a great card, and I hope the rest of Innistrad is as good as they’ve shown us so far. 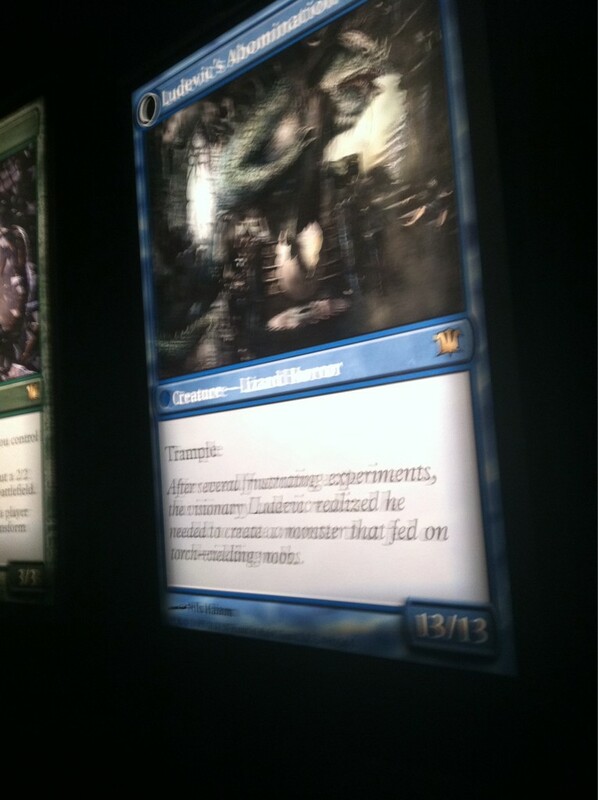 Yet another Innistrad update; apparently, these are connected to the transform mechanics. 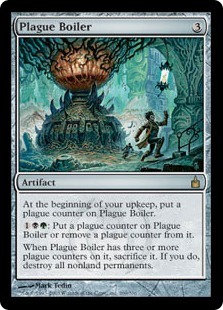 Plague Boiler is a thing that is going to blow up everything you hold dear if you don’t keep removing counters from it. However, I think this card is a perfectly valid card in Commander decks that play out of the graveyard, like Dredge decks in Commander, that use Karador, Ghost Chieftain, which likes blowing the board up every turn (seeing as black/green/white gets access to damnation, life’s finale, day of judgment, wrath of god, etc), and then dredging and playing their entire board again with Karador, who will rarely cost more than 3 due to him costing 1 less for each creature in your graveyard. Plague Boiler isn’t great, but it has a place in Commander.